On Thursday, 13th April 2017, Filippo Berto took part in the presentation of the program “Manifattura in Città” promoted by the Municipality of Milan, as a representative of Innovazione by Apa Confartigianato Imprese. 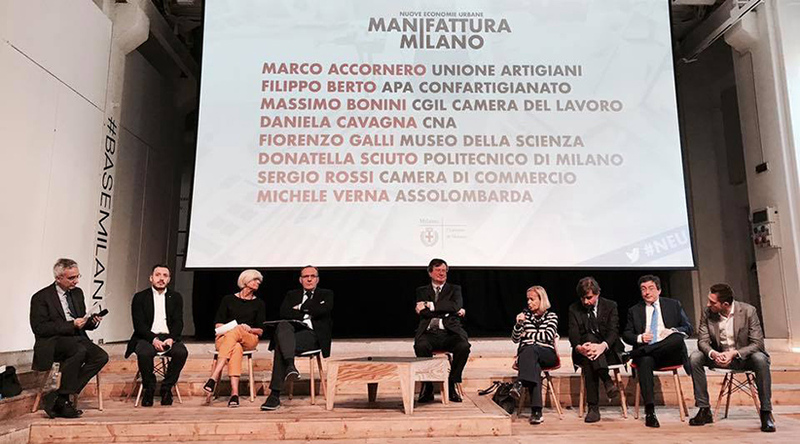 “Manifattura Milano” is the name of the long-term project the Municipality of Milan promoted in order to create a “Modello Milano“(Milan Model”), that allows the town to become a development laboratory for the whole country with the aim of developing innovative projects as for digital manufacture. - Dario di Vico, journalist by Corriere della Sera, was the moderator of the debate among Massimo Bonini General Secretary of Chamber of Work, Fiorenzo Galli Director of Museo della Scienza e della Tecnica, Sergio Rossi General Vice-secretary of the Chamber of Commerce of Milan, Donatella Sciuto Vicarious Vice-rector of Politecnico of Milan, Michele Angelo Verna General Director Assolombarda, the president CNA Milan Daniela Cavagna and Marco Accornero General Secretary Unione Artigiani. Here our post on the blog BertoStory signed by Filippo Berto.